The United States IJAN chapter has members across the country, from the West Coast to the Midwest to New England. We focus on issues and campaigns that are specific to our context, while remaining in close conversation and consultation with international partners and points of reference. Within the US, we work closely with a variety of organizations and networks within, or in solidarity with, the Palestinian liberation movement, as well as those who are struggling against racism, colonialism, class rule, and state violence more broadly within the US, but who understand the importance of the Palestinian struggle to all of our movements. Posted August 3rd, 2012 by ijan & category Uncategorized. InNovember, 2012, social movements from around the globe will gather in Porto Alegre, Brazil to demand and organize for a free Palestine. The World Social Forum (WSF) Free Palestine is an expression of global social movements’ opposition to capitalism, colonialism, war, occupation and racism. IJAN is part of organizing a US-Canada cross-movement delegation to the WSF Free Palestine. And we need your help to get there. 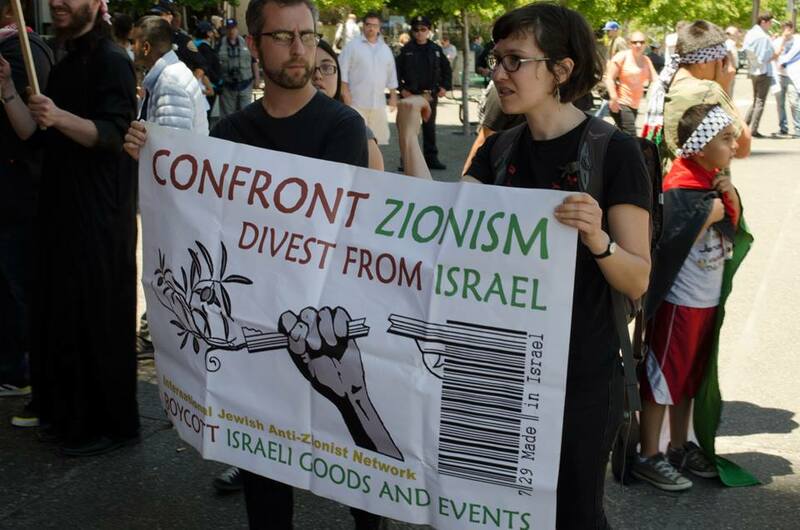 The delegation, initiated by the US Social Forum, includesProject South, the Palestinian Youth Movement, the Black Alliance for Just Immigration, and the Muslim Defense Project among other leaders at the forefront of grassroots movements. Click here to see the growing list of endorsing organizations. Our aim is to promote joint strugglefor Palestinian liberation, indigenous self-determination, the rights of refugees and migrants, economic justice and labor rights, queer liberation and gender justice, the sustainability of the land and natural resources and the creation of a people’s economy. Comingtogether in Brazil will provide an opportunity to organize for Palestinian liberation in ways that strengthen all our struggles for justice. Donate now to support the Joint Struggle Delegation’s travel expenses to Porto Alegre. Formore information on why confronting Israel and Zionism is so central toour struggles for justice, freedom from repression and war, ecological preservation and indigenous sovereignty, watch a presentationby members of IJAN, Malcolm X Grassroots Movement and the Center for Constitutional Rights (all members of the Joint Struggle Delegation). Please contribute what you can to this unique opportunity to broaden the movement for Palestinian liberation. Click here for other ways to get involved. Posted September 5th, 2010 by manu & category Uncategorized. 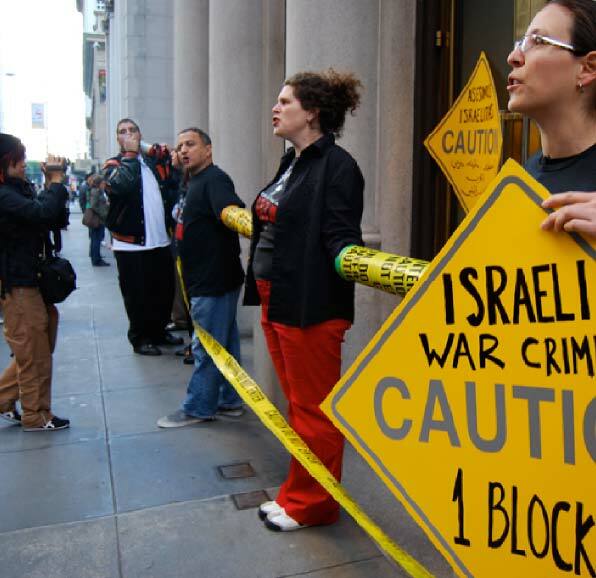 While most IJANers from the Bay Area were at the the 2010 US Assemblyof Jewsin Detroit, some IJANers who stayed in the Bay tookpart in the 5am Sunday historic morning picket, with approximately 800 otherpeople, of the Israeli Zim Lines ship in theport ofOakland. It was a very successful action and prevented the ship from beingunloaded. This is the first time this has happened in the USand also the first time many locallabor groups and unions have taken action in support of Palestinian people and itis a precedent setting action and a big step forward for the BDS movement bothin the Bay and nationally.